While the bright colors, stunning imagery and historical importance of a painting are the things we tend to focus on when viewing a work of art, here at Swann we know that often the back of a piece can hold its own special interest and value. 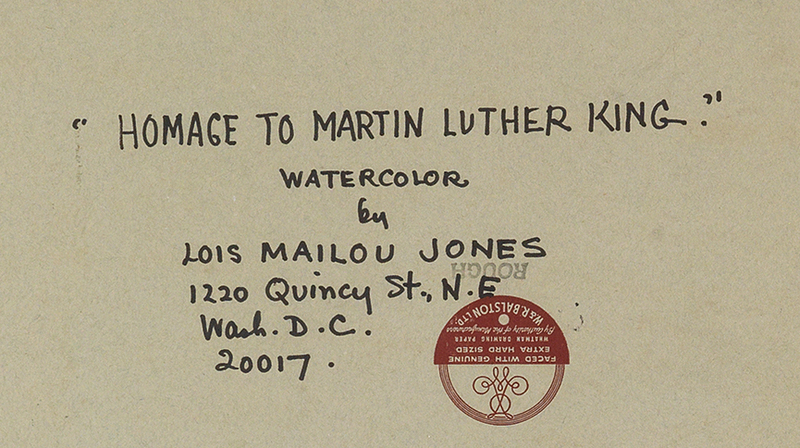 Such is the case with Homage to Martin Luther King, a watercolor painting by painter, illustrator, textile designer and teacher Loïs Mailou Jones, featured in our upcoming auction of African-American Fine Art. 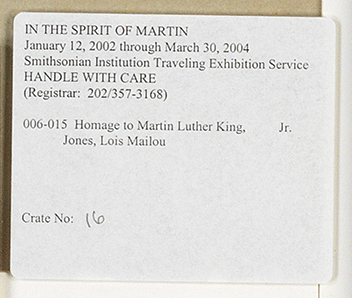 Lot 54: Loïs Mailou Jones, Homage to Martin Luther King, watercolor, 1968. Estimate $20,000 to $30,000. At auction April 7, 2016. 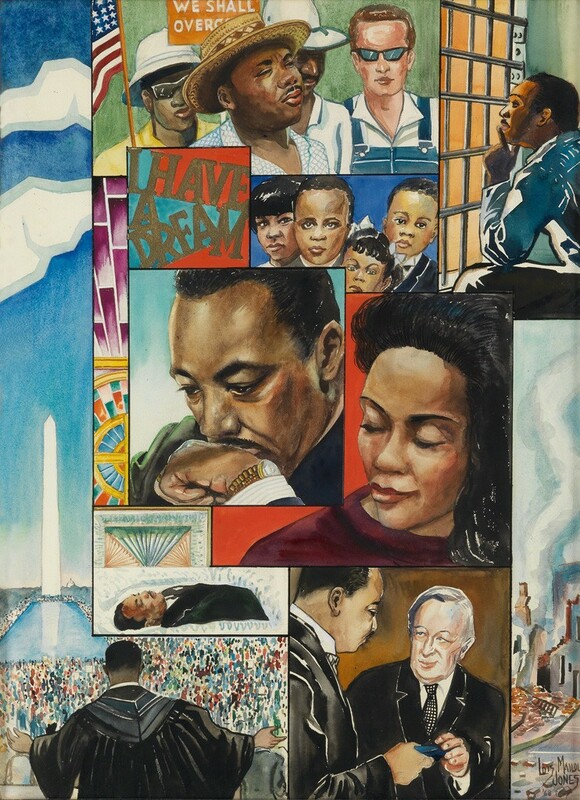 In the same way the powerful images of Dr. King tell the amazing story of his life and influence in the many panels of the painting, the back of this piece tells a story as well. 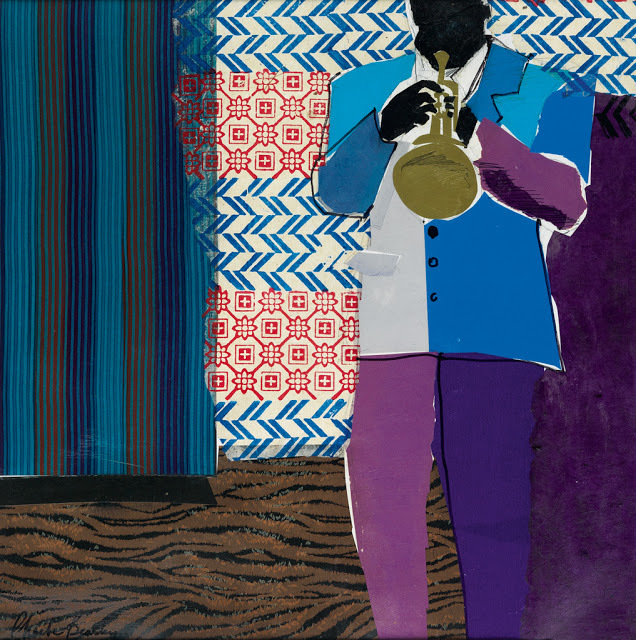 Jones’s painting has been exhibited extensively. In addition to the National Museum of Women in the Arts, it has been included in shows at the National Civil Rights Museum, in galleries and in a traveling exhibition put on by the Smithsonian titled In the Spirit of Martin: the Living Legacy of Dr. Martin Luther King. The label for that traveling exhibition can be seen on the back of the frame in the lower right corner. Next to it is the label for Brody’s Gallery, where the painting was displayed in October of 1998. 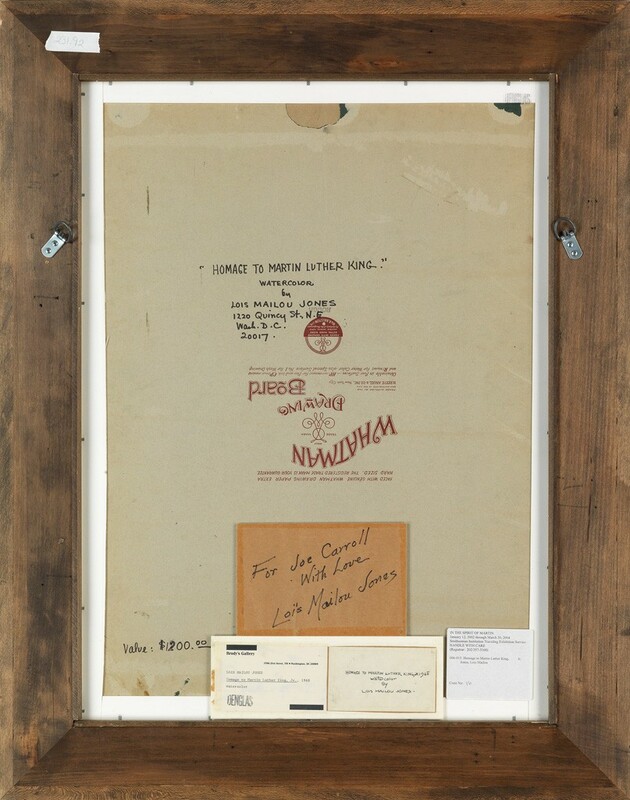 Additionally, there are notes on the back of the painting in the artist’s hand, including her name and Washington D.C. address, as well as the title of the piece. While we know that stamps, tags, labels and notes on the back of an artwork can help experts determine the authenticity of a previously unrecorded work, in the case of a well-documented piece like this the details on the back are reminders of its travels, history and impact, almost like stamps in a passport. 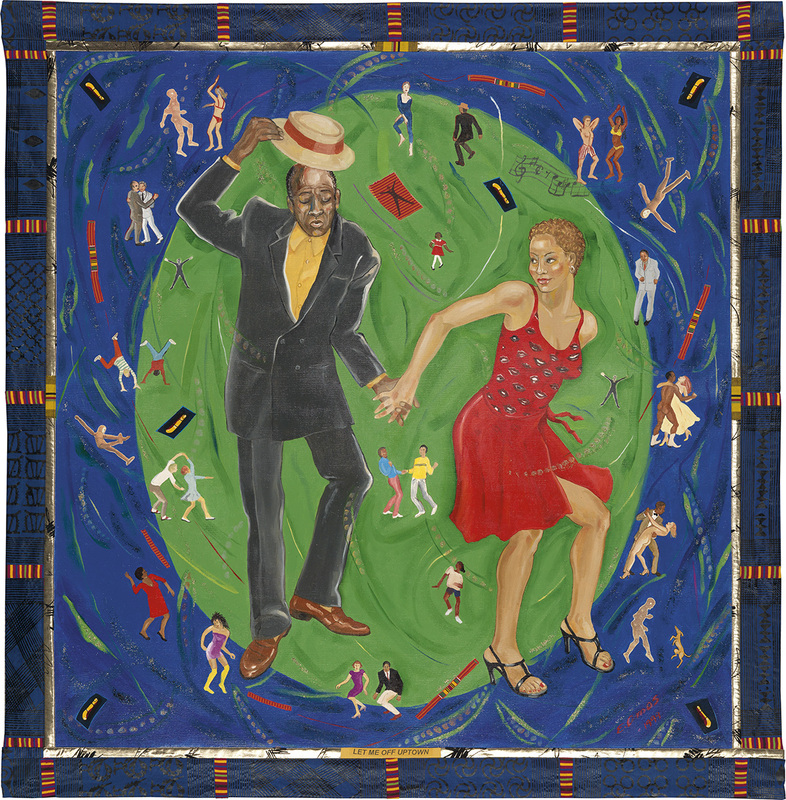 To see more artworks with fascinating exhibition histories, make sure to check out the complete catalogue for our upcoming auction of African-American Fine Art.